On June 16, Nevada Attorney General Adam Laxalt signed a federal court brief opposing sanctuary cities. In a press release, Laxalt slammed California municipalities that “refuse federal requests to temporarily detain illegal aliens with violent criminal histories,” and complained that “sanctuary cities in California endanger Nevadans.” The press release gave no evidence to back up this rather strong allegation. If you thought, “maybe the evidence is cited in the court filing,” well, you’d be disappointed. The brief says nothing about detaining anyone, nor even about violent crime. In fact, the word detain does not even appear in the document. To be fair, there is a very short discussion of crime, in the form of a one sentence allegation that the City of Baltimore is to blame for drug problems in West Virginia. I do not know if that has anything to do with Nevada, nor whether the allegations against Baltimore have any empirical foundation. The brief doesn’t bother to give any evidence for it. This should alarm immigrant supporters. True, the claims against sanctuary cities are mostly spurious, belied by the fact that cities with more favorable policing policies toward immigrants generally have lower crime rates. But it would be a grave error to assume that facts will be enough to win this kind of political fight. Typically in immigration debates in this country, we cannot even agree on terminology. Most supporters of immigrant rights say “undocumented immigrant.” Adam Laxalt says “illegal alien.” But Laxalt and others on the right seem entirely happy to use the phrase“sanctuary city” – a phrase that emerged on the political left – if only to declare their opposition to it. This is a sign that the left has chosen the wrong phrase. And it may increasingly be a liability for immigrant communities who desperately need a more sober, reality-based discussion about law enforcement in the Trump era. The various campaigns calling for sanctuary cities, sanctuary states, sanctuary campuses and so on have mobilized supporters of immigrant rights, and have achieved significant success in strongly Democratic constituencies. But the movement has met stiffer resistance in less blue jurisdictions. The use of the “sanctuary” label threatens to turn off potential allies who immigrants need in Nevada and in other closely divided states. Opponents are taking advantage as we head into the pivotal 2018 elections. Laxalt and nine other Republican state attorney generals filed a brief siding with the Trump Administration, which wants to take federal grants away from sanctuary cities. But their arguments were not especially bold. In the court filing, they refused to take a position on whether sanctuary jurisdictions should actually be barred from any specific federal grant program. They merely supported the theoretical possibility. For those who are interested, The Nevada Independent has already published a thorough explainer on the legal context for the brief. It’s not clear that the details matter, however. Take, for example, Laxalt’s protest against California cities that refuse to detain “illegal aliens with violent criminal histories.” It turns out that the City of San Francisco’s “City of Refuge” ordinance actually says that police may detain immigrants with violent criminal histories to facilitate turning them over to ICE. According to his press release, that is exactly what Laxalt wants. In other words, it would be correct to say that Adam Laxalt appears to support a key feature of San Francisco’s policy on immigration. The details of San Francisco’s actual policy are a good illustration of why it is so hard to actually define what counts as a sanctuary policy with any kind of legal precision. But lack of policy coherence doesn’t stop politicians from issuing press releases. People who care about the substance may not be able to understand exactly what he means, but Adam Laxalt wants everyone to know he’s opposed to sanctuary cities. Why are we using this phrase, anyway? The word “sanctuary” suggests a place of safety, protection and shelter. Merriam-Webster says that it can also mean “the immunity from law.” Therein lies the problem. Politically, the sanctuary label accomplishes two opposite things. First, sanctuary sounds powerful, and is thus inspiring to people who are outraged by federal immigration policy, especially in the Trump era. But on the other hand, “sanctuary” vaguely suggests resistance to the law. This turns off swing voters. That’s a good thing, in a way. A great thing about this country is that Americans are generally devoted to the rule of law, even when they don’t agree with it. In modern American immigration politics, the sanctuary movement gained prominence in the 1980s when religious congregations around the country sheltered Central American refugees from deportation. The whole idea was to literally protect refugees by daring federal officers to storm a church to get them. It was a deliberate defiance of the law by people who thought the legal system was unjust. It was an act of civil disobedience. The trouble is, municipalities and states cannot engage in civil disobedience. A mayor can voice opposition to federal immigration policy. But a city cannot offer anyone actual shelter from federal immigration enforcement. To declare their territory to be a “sanctuary” sounds like active resistance, implying that they will somehow obstruct federal officers, or that they can grant some kind of immunity from federal law. Of course, they can’t. And they don’t. Public opinion polling on sanctuary cities is somewhat all over the place, though it most clearly suggests that failing to turn over for deportation immigrants with serious criminal records is unpopular. As with many controversial subjects, how the question is asked and how the issue is framed makes a great deal of difference. Hence, rhetorical labeling matters. A lot. There are many Americans who can understand that our current immigration laws, when enforced rigidly and aggressively, are cruel, unjust, and corrosive for our economy and community. But some of these people nevertheless will oppose anything that hints at resistance to rule of law. In short, the sanctuary label mobilizes the strongest pro-immigrant activists on the left, while at the same time shrinking the potential size of the pro-immigrant coalition by turning off potential allies. It’s a good mobilizing tool to get people to pack a meeting, sign a petition, or show up at a rally. But it’s not a good way to win close elections. Should someone be arrested for nothing more than unpaid speeding tickets and be turned over to Immigration and Customs Enforcement (ICE)? What should we do about the fact that ICE agents recently tried to arrest a woman who was completing a special program for victims of human trafficking? What can we do about the fact that under the Trump Administration, immigrant women are becoming afraid to call the police to seek help from domestic violence and sexual assault? These are not abstract questions. Nevada has one of the nation’s highest rates of domestic violence. We also have a generally higher rate of violent crime in Las Vegas than in Los Angeles or San Francisco, which have done much more to assure their immigrant communities that they can trust their local police. These would be good questions to ask Adam Laxalt. But not only him. These are questions that should be asked of anyone who might be a governor, a mayor, a sheriff, or a legislator in a state with a large immigrant population. But instead, come the 2018 campaign I fear that we’ll just hear, “I’m against sanctuary cities.” Over and over again. 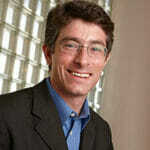 Michael Kagan is a professor at the UNLV William S. Boyd School of Law. He directs the Immigration Clinic and teaches administrative law, professional responsibility, international human rights and immigration law. In both his research and his clinical teaching, Prof. Kagan focuses on the tension between immigration law and civil rights. He tweets @MichaelGKagan. Feature photo: Members of local church groups and citizens pray during the immigration forum hosted by Nevadans for Common Good on Monday, April 17, 2017 at All Saints Episcopal Church. Photo by Jeff Scheid/The Nevada Independent.